We provide free, confidential and impartial advice for communities in Hackney, Newham and Tower Hamlets on the big issues affecting people's lives. If you need help from the application through to your first payment find out how to get in touch or call our free national Help to Claim phone service 0800 144 8444. Do you live in the Woodberry Down area? Do you pay your rent to Notting Hill Genesis or Hackney Housing? We have a drop in service for debt advice and money management every Tuesday between 10:00am and 1:00pm at Redmond Community Centre, Kayani Avenue N4 2HF. NO APPOINTMENT NEEDED. Rashid Seedat on: 020 8525 6350. See the roles we’re currently recruiting for. Could you join them? We're doing the London Legal Walk to raise much-needed funds for East End CAB - Please sponsor us! Find out more about our funders and supporters. Copyright © 2018 Citizens Advice East End. All Rights reserved. 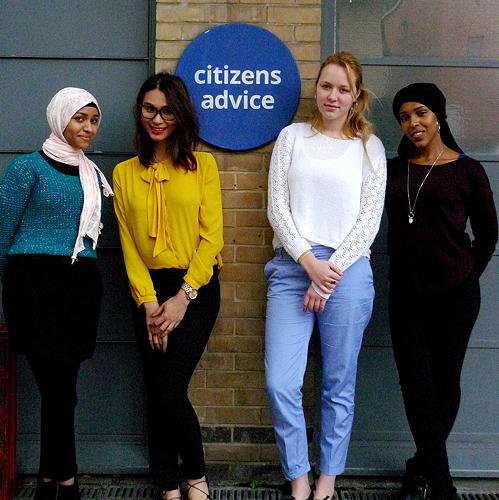 Citizens Advice East End is an operating name of East End Citizens Advice Bureaux.